Plastic waste pollution has become a major problem globally. This is particularly true for developing countries like Ghana where a major factor is the failure of government and its agencies responsible for health and sanitation to implement plastic management policy to tackle the problem. 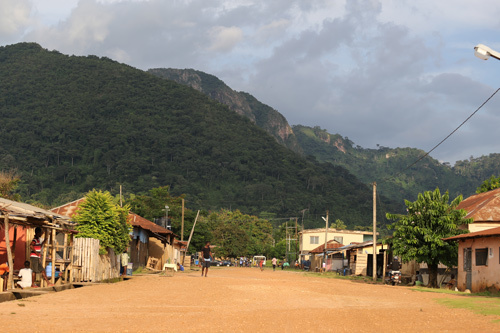 Liati Wote is a rural village and tourism destination located in the Volta Region of Ghana. The highest mountain of Ghana, Afadjato, and the Tagbo waterfall are both located in this community and attract over 1000 tourists every month in peak season. The village has a total population of about 600 members who are largely small scale farmers. The community is structured along the lines of traditional leadership, headed by a chief and his team of elders. The people of Liati Wote are committed to harnessing their tourism potential for communal benefit and have been supported in their efforts by Stepping Stones for Africa and its partner Jolinaiko Eco Tours for several years. The large number of tourists come with economic benefits for the community, but they also generate a lot of plastic waste. 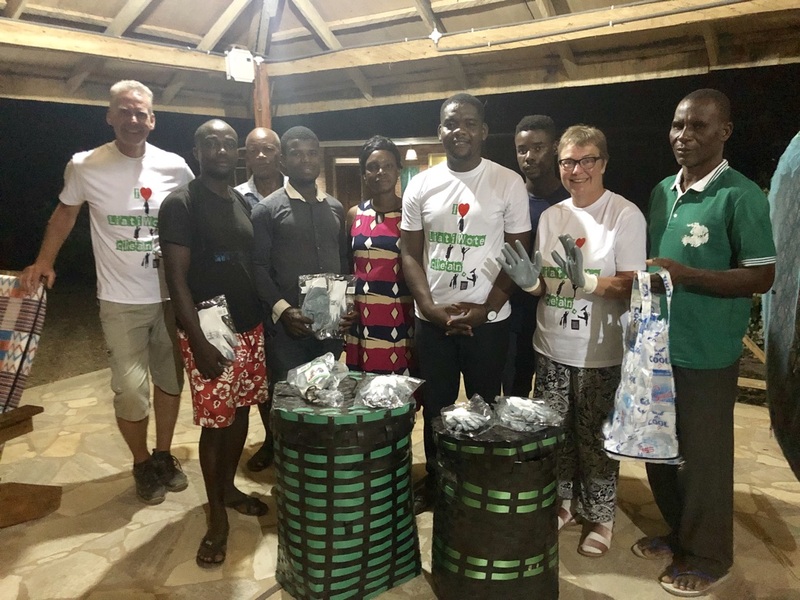 The community was recognised in the past as one of the cleanest villages in the Volta, but due to the inability to manage the increasing volumes of waste generated by tourists, Liati Wote is gradually losing its brand of cleanliness. The community lacks a proper waste management system to facilitate the clean-up or recycling of plastic waste. The trails leading to the two major tourist sites are littered with plastic and the area around the tourist reception office is often a mess after a tourists visit. This situation is bad for the image of the community as an ecotourism destination and the environment as a whole. 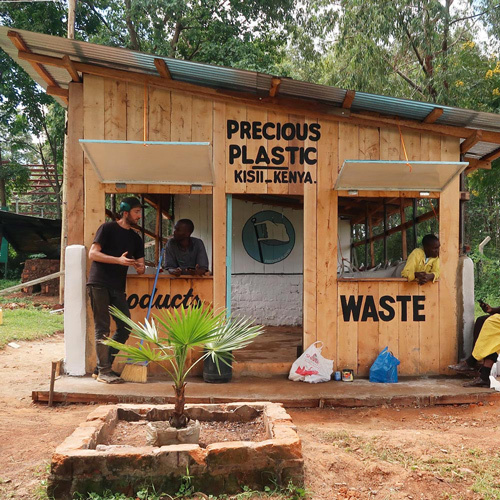 The main objective of this project is to empower the inhabitants of Liati Wote to collect and recycle plastic waste left by tourists into useful finished or semi-finished products of commercial value. Through this project, different avenues will be used to sensitize community members, school children, tour guides and tourists on proper waste management. Capacity building programs will be run for the community on waste-management. 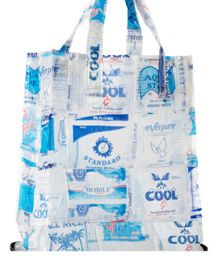 We aim to reduce the amount of plastic in the village by at least 50% during the first year. In 2017, Stepping Stones for Africa, in partnership withJolinaiko Eco Tours, held community meetings in Liati Wote in which the community itself identified youth unemployment, tourism development and sanitation as their main development priorities. This project aims to combine these three challenges. For more information about this process and these meetings, see our reports of the first, second, third and fourth meeting. The project will be executed under a ‘community participatory’ approach, which is Stepping Stones for Africa’s standard approach in community development work. 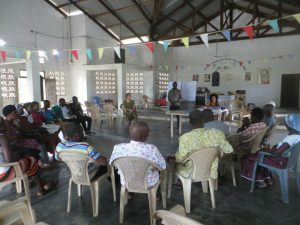 SSFA starts every community development initiative with a set of appraisals, interactive community meetings, also called Participatory Rural Appraisal (PRA). 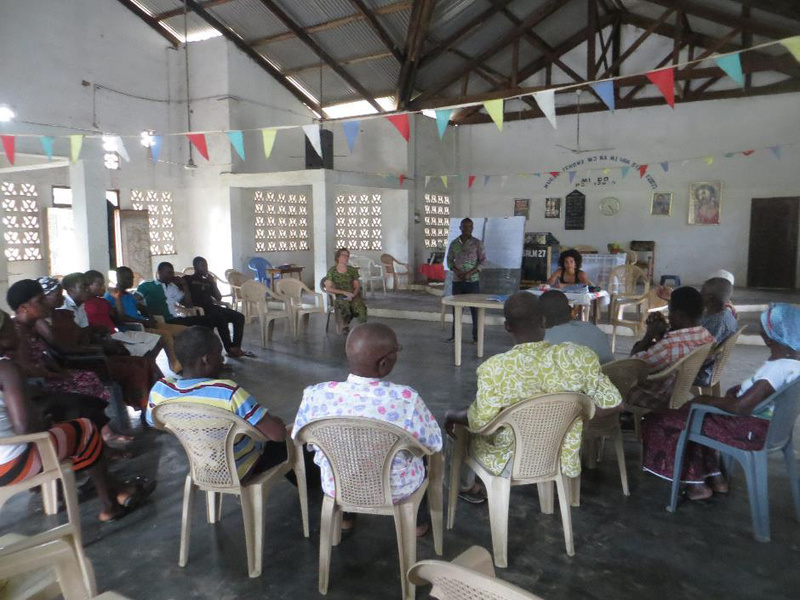 In this way the community is mobilized to identify the areas where development and intervention are most needed. The outcome of these appraisals determines the focus of future development initiatives. This approach fosters collective decision making which ensures that decisions arrived at, are not imposed by one party rather all parties are consulted and engaged in the process. This approach inspires community ownership and sustainability of projects. 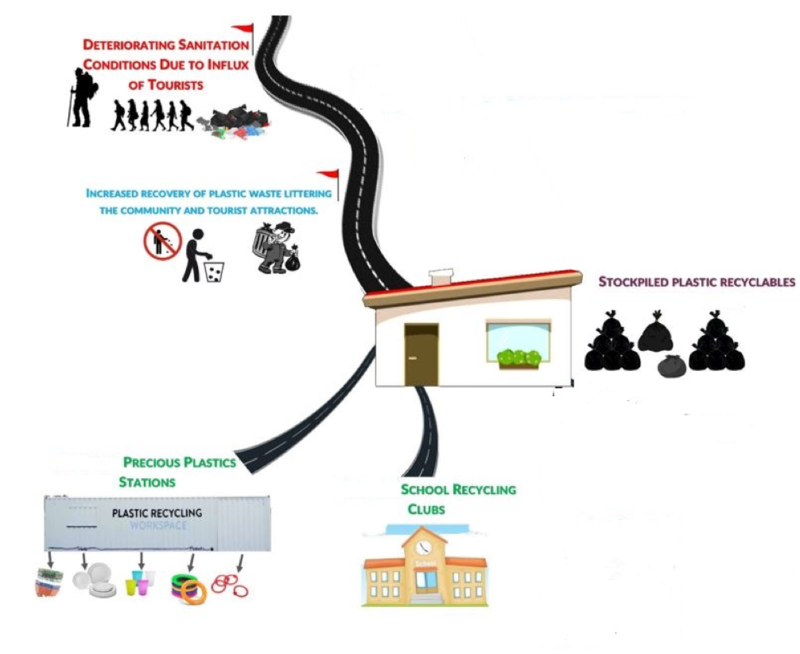 The project is divided into three main parts: plastic waste collection, recycling, and awareness creation. The stakeholders include the tourism board of Liati Wote, the Liati Wote community leadership, school pupils in Liati Wote, Stepping Stones for Africa and its partners. The community leadership will be guided to form a project committee which will be in charge of the waste collection process. The focus will be to facilitate the ongoing collection of plastic waste along the trails leading to the tourist sites and in the community itself. As part of this activity, waste bins will be placed at strategic points along the trails and in the community. Selected groups of people will be assigned for the collection and storage of the plastic waste, and adequately rewarded for the work done. The plastic recycling facility will be located in the village. 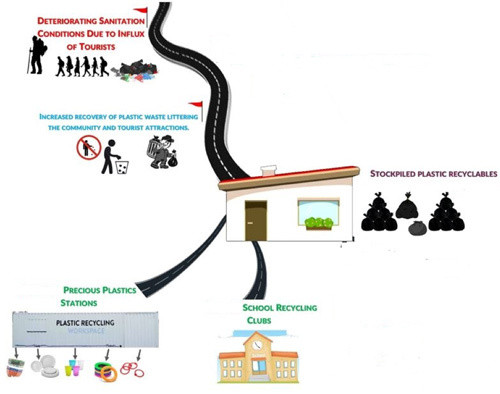 Since there is a variety of plastic waste produced in the community, different recycling methods will be adopted. For this project, we have identified several concepts to explore. 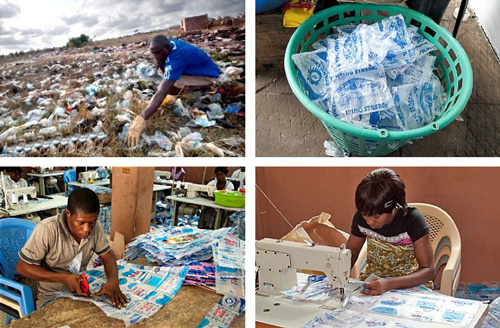 Presently, the three main concepts are the Precious Plastic concept, shredding and plastic sachets sewing and ironing to make bags and other items. We hope to also explore other innovative methods as the project progresses. The Precious Plastic station concept was developed in the Netherlands in order to recycle plastic by setting up an entire recycling station in a shipping container. 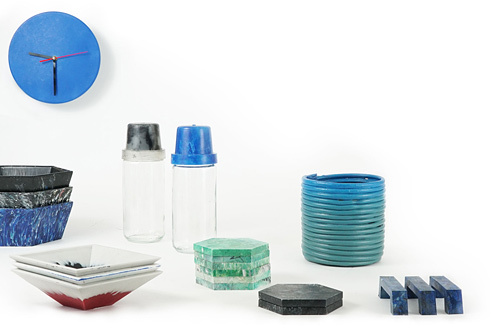 The station caters for storage, sorting, shredding, extrusion, and molding of plastics waste into a variety of products. SSFA will lead in the implementation of this part of the project. We are exploring the involvement of local machine builders to build the different machines needed for the recycling station, and in training the locals to use them. The Liati Wote community will support by providing the land on which the recycling station will be built. [Source: Trashybags.org]The plastic sewing concept makes use of water sachets by sewing them together and making items like bags from them. The sachets are ironed to bind them into sheets which are used to make other products. 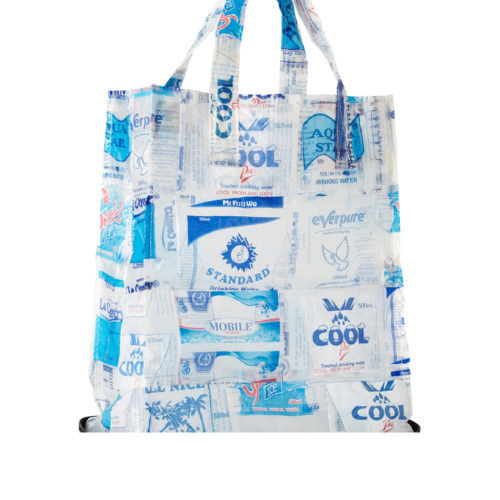 With this concept, the inspiring Trashy Bags project has been succesfully producing products from plastic waste. The third option we will Shredding [Source: PreciousPlastic.com]explore is to shred the different types of plastic waste and sell to companies that make use of them in tile production and plastic chairs manufacturing. This option will be adopted mainly for the recycling of PET bottles. 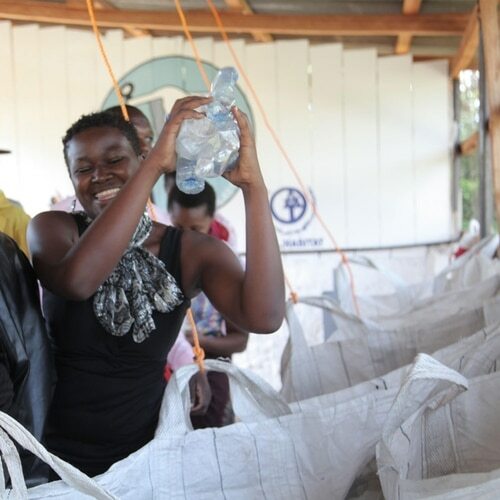 The recycling facility which will house the different recycling options identified above will be jointly managed by the Liati Wote community and Stepping Stones For Africa for the first five years. After this period, ownership and management will be handed to the community. The recycling facility will engage community members to work in sorting and recycling of plastic waste. Stepping Stones For Africa will provide technical, administrative and managerial support in running the facility. Plastic waste recovered by the community will be weighed at the recycling facility and purchased based on prevailing market prices. After recycling, the finished or semi-finished products produced will be sold to tourists and other interested people. Proceeds from the sales will be used to pay allowances of workers, utility, and maintenance of the facility. For the first year of operating the facility, funds will be raised as seed money to sustain operations until the station is able to support its own operations without external support. The school recycling club is one of the awareness creation methods targeted at students of the Liati Wote junior and senior high schools. 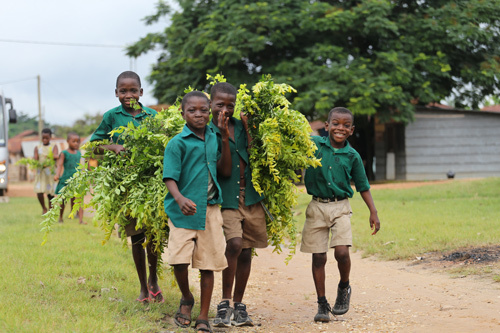 Stepping Stones for Africa, with the authorization of Ghana Education Service, will establish a recycling club. 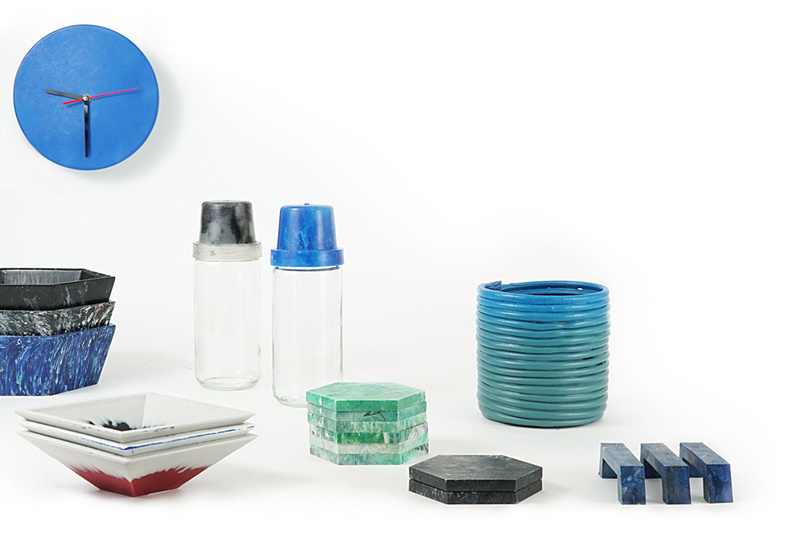 The program will provide education and training to develop their talents in making artifacts from plastics . Local artists in the community will be identified to support this club together with other creative teachers and students from the schools. Stepping Stones for Africa will from time to time bring on board external resource personnel to support in the training activities. The second part of the awareness creation will focus on relying on local artists in producing educative art works such as signages and paintings concerning sanitation and waste management. These art works will be displayed at designated points within the community and along the trails to the tourist attractions.